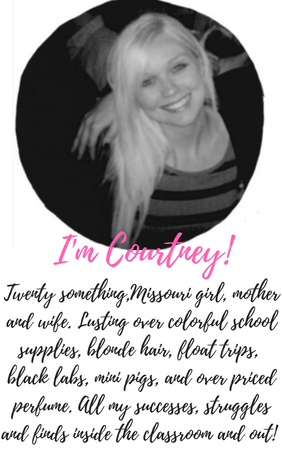 Courtney Mann, ETC: Place Value Fill in The Blanks! 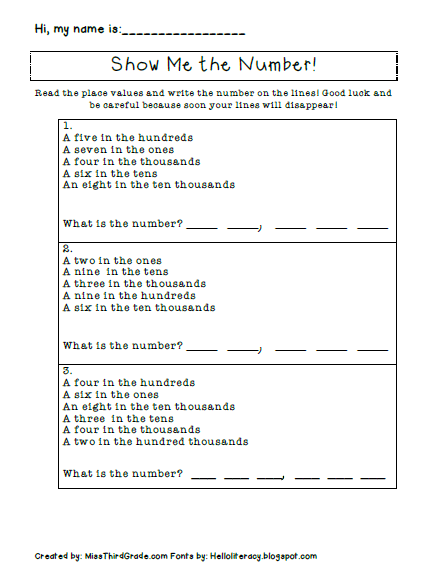 Place Value Fill in The Blanks! 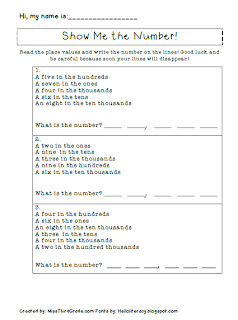 We are FINALLY done with our place value and rounding unit and I'm super excited to give a test on Friday (who says that) to see how my kids do! With that in mind we have been reviewing all week. Today we did this fill in the blank place value activity. I put it up on my smart board when we went over it and the kids loved coming up and writing in the blanks. Check out this freebie on my TPT website! At the end students create their own and we took turns doing them together. On another note I was elated to find an e-mail from Tim, the owner of Super Teachers Worksheets.com, in my inbox last Friday---giving me a FREE one year membership to their website! How amazing is that? I've tried not to brag too much to other teachers because I know everyone is super jealous of me now. 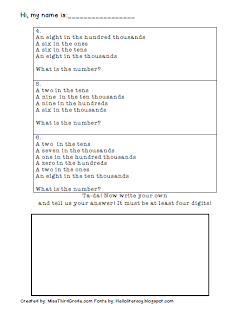 It really is an incredible site with so many math worksheets and games over just about everything. 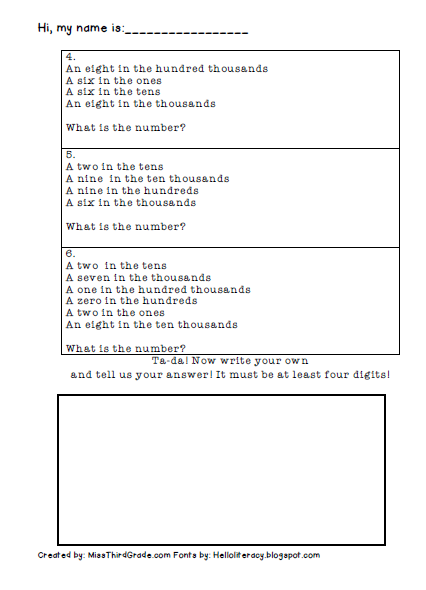 I already hit it up this week for rounding and even/odd worksheets. The best thing about it is that they are constantly updating the site with new things every week. I know that next week when we start money things will be cray and I'll be heading over there everyday.. that rhymes and yes I did use the word cray. 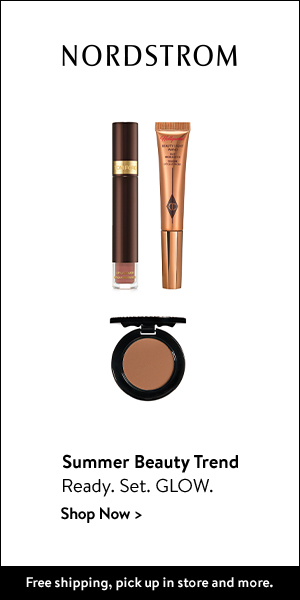 If you want more information on joining their site click here. 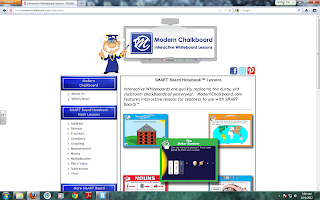 They also recently created a new website called Modern Chalkboard. 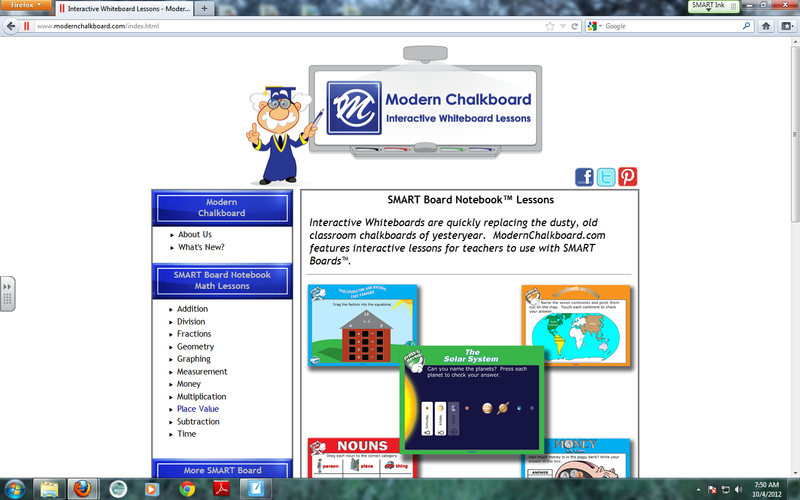 It is full of interactive Smartboard activities. It you haven't been there check it out! 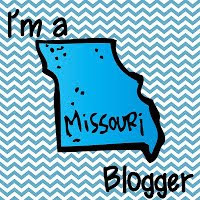 If you own a blog and are interested in making a couple extra dollars with a sponsor link on your sidebar e-mail Clay at clay@bigeventfundraising.com! Earlier this week he contacted me asking to pass on that tid bit of information. I've worked with him before and he is super quick to paypal the cash over:) Which is always good! And he e-mails you when his subscription is up for renewal. I've worked with him twice. He is always welcome on my sidebar. What more can you ask for? Disclaimer: I was not paid or sponsored to write this post. Congrats on the free membership!! !